In most cases people will take into consideration the quality of carpet and the type when out purchasing carpets. A carpet pad has significant influence on the quality of carpet which will be a laid in your home. Carpet padding will add insulation to the home. The insulating properties of the pads can insulate the home against heat loss and too much sound when people will be walking in their homes. There are several factors you need to take into consideration when looking for a carpet padding which you can have in your home. This is a measure of carpet padding resistance to heat flow. It is a measure of how well carpet padding will prevent heat from flowing from one area to the other. This includes keeping warm areas warm and cold arras cold. R values usually fall between R-0.2 and R-2. You can as well find high values. 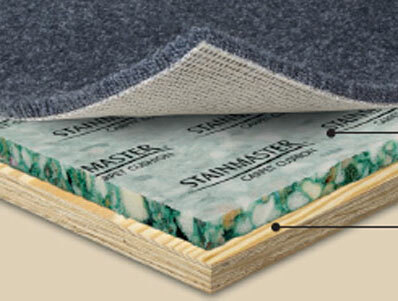 When about to purchase carpet padding, R factor is among factors listed. Carpets have R values as well; the combined R values make the combined R values for carpets and pads. Wool carpets tend to have high R factor when compared to those exhibited by carpet padding. Dense carpet padding has higher insulating properties when compared to thin padding. The density is listed as weight per cubic foot of carpet padding. A carpet padding designed for residence is usually between 5 and 8 pounds/cubic foot. High grade carpet padding can be denser. You can find them at 30 pounds per cubic foot or even higher. Some manufacturers can list the density in ounces per square yard. A thicker carpet pad will insulate better than a thinner pad. A carpet pad will be 1/2 inch thick and can be as thin as ¼ inch. Thick padding will be the right choice when trying to increase the insulating power, but you will be restricted on the thickness in some areas. Going for a carpet pad which is too thick can make the carpet flex and buckle in some areas. You should avoid thick padding in high traffic areas such as hallways and stairwells. You can restrict them to low traffic areas where they will not make the carpet fall apart. Always ensure you have the right thickness of the padding so that you will avoid unnecessary tearing of your expensive area rug or carpet. You should be cautious when about to buy carpet padding. A thicker and denser carpet will insulate your home from heat and sound. You should be careful of how thick a carpet padding should be in certain areas in you room. You should check the manufacturer’s recommendation before purchasing any carpet padding. Buying wrong carpet padding can make the carpet wear out easily. It will also affect the warranty which you will be offered for your carpet. Be careful when buying padding for radiant heating and Berber carpets. Thick padding can reduce the effectiveness of radiant heating in your home. For Berber carpets, you need padding which is specifically designed for the carpets.